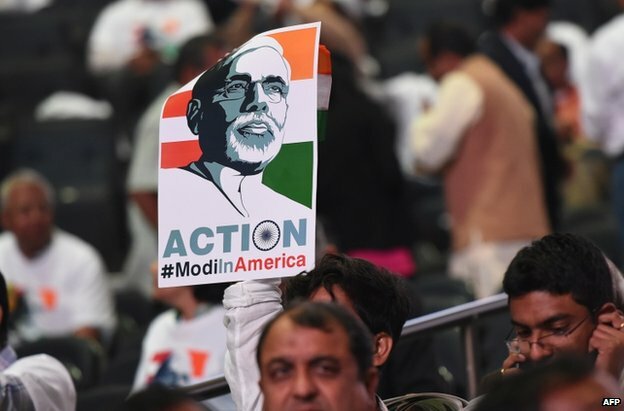 “Modi – The Marketer” in USA – A Report Card ! – POORNA VIRAAM ! You seem to an MMS admirer and an true congressman by principle. All your comments spread canard and lies about Modi’s charismatic visit to the US. He is the symbol of youthful energy and a true believer in democratic values. He leads by action by following steadfast values which hitherto have been unmatched by your god Mr. Dumb Witted MMS. Have a sense of national pride before personal political goals or agenda, Congress ruled the country for 10 yrs. but did not do anything substantiated for the common man. Even the so called highly intellectual your godly MMS stood as muted puppet in the hands to madam Italy. Do you have any sense of shame at all left to malign the democratically elected PM of the nation. The business community matters for FDI in Indian services sector, the more companies are welcomed with red carpet, more likely they will help in booting the manufacturing and IT sector growth. Basically you need to look at the iterative benefits that will come based on the free flowing trade cooperation between India/US corporates. Lots of bilateral positivity and work/confidence has been gained after the UPA left the Indian economy in shambles with billions of fiscal deficit / inflation. Pathetic growth rate during the last few years of UPA 2 ensured Modi has a lot of ground work to do to bring back the ailing economy back on tracks. Regarding the UN address it was not an typical congress leader speech who believes in hogwash and appeasement of the UN council. It was an exemplary extempore that made the world notice the true statesman in him. He spoke as an Indian representative on global issues which seek our intervention and role. He is an true mass leader with global visions. You can see the turn around already happening now.. appreciate if congress & it’s rugged puppies behave like true national patriots with constructive criticism needed in effective governance instead of such shameful comments.